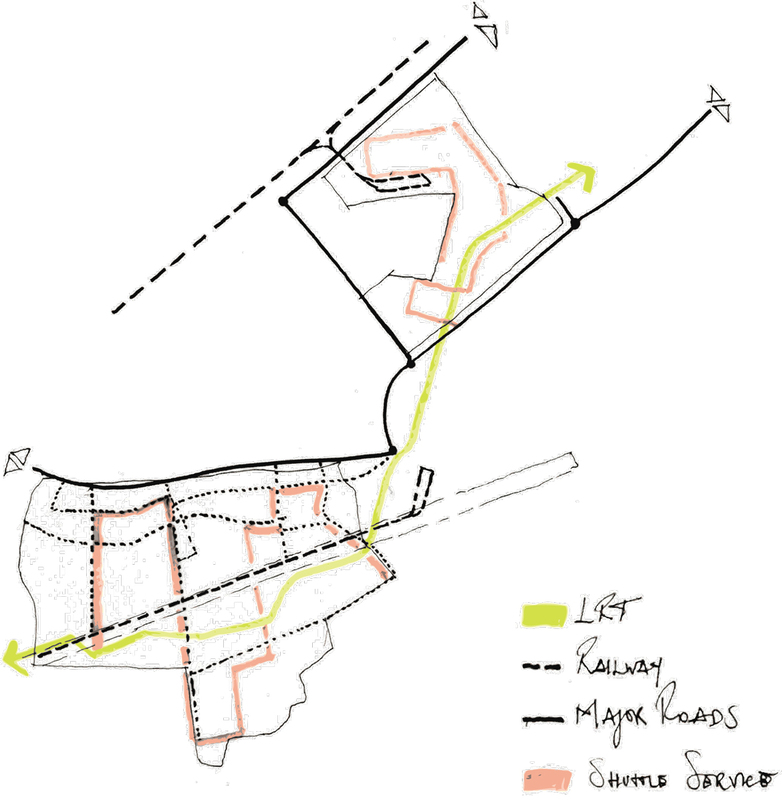 This masterplan proposal benefits of a holistic and multifaceted approach, based on a forward-looking strategy. 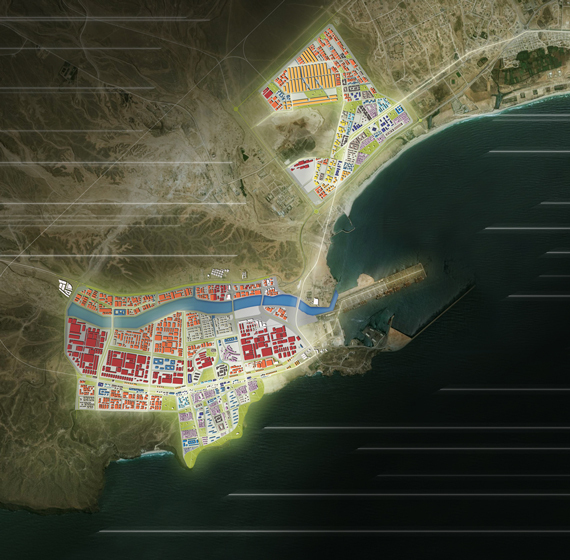 A new Free Zone, conceived as a world-class development, would be able to boost Salalah’s economy with significant social implications, through the delivery of a modern, functional, attractive district, as an exemplary case of proper urbanism that is based on the main principles of high quality of urban environment, sustain­ability and a well-conceived and integrated mobility strategy. Connectivity with a wider system of dense relationships among emerging and consolidated ports. Rich and balanced mixed land use. Public transport strategy at urban scale to assure a tight relationship among new investments and present potentials. Realisation of liveable public spaces that defy the strictly industrial nature of the Salalah Free Zone development. Use of sustainable technologies to increase the strong competitive edge that the development seeks and to render the area an attractive pole within a larger global system. Sustainable technologies are considered as integral part of Salalah Free Zone Master Plan.